How organizations buy is changing – we all know that. There is not just one change, but many happening all at once. Indeed, it is a perfect storm. In this insight we will examine the key procurement related changes that will rock your world and help you predict when they will happen in your customer/prospects organizations. When it comes to procurement, Status Quo is the name of a 1970s rock band and nothing else. Indeed, in so many organizations procurement is a by-word for change. How organizations buy is changing. 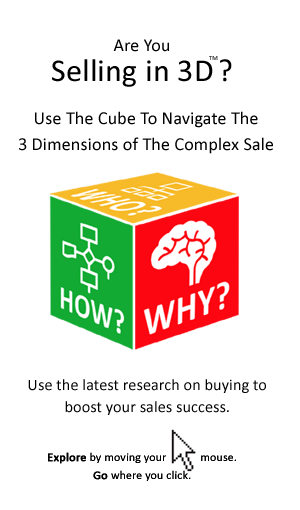 The rise of the competitive tender, more complex buying processes, or procedures and the increased power of procurement – these and other changes in buying present sellers with new sales challenges. They result in longer sales cycles and more stalled, or lost deals. The tide is rising in terms of the overall level of procurement sophistication. The trend of more sophisticated and more demanding buyers seems to be evident in most industries regardless of geography. As this happens among your customer base, 8 procurement related changes are fated to happen. The procurement and supply chain trends already evident in the world’s leading organisations – companies whose products we are so familiar- Apple, Samsung, Microsoft, Dell and so on – are trickling their way down to the rest of industry. That makes predicting the future a whole lot easier. More of what yesterday might have been considered the elusive best practice of the big global corporate is becoming common practice. So if these trends are not already adopted by your customers, they cannot be far off. Below we list the 8 key changes, then afterwards we will identify the factors that if present in your customer’s industry, accelerate the pace of change. 1. Regulated Buying – the implementation of policies and procedures to manage how the organization spends its money and manages its suppliers. It is an end to the ‘free for all’ environment where individual managers can buy the products and services they want, from their preferred suppliers and negotiate their own deals. Increasingly compliance with procurement procedures is mandatory and approvals processes are key. 2. Aggregation of Purchases – Bundling all the orders organization and category-wide and thereby leveraging of volume for a better deal (including bulk orders, longer term supply contracts and framework agreements). 3. Competitive Tendering – ensuring that contracts are awarded based on competition between vendors on the basis of price and other factors. This is typically accompanied by attempts to re-negotiate terms within existing supply contracts. 4. Supplier Consolidation – Reducing the variety of suppliers and products being bought. This reduces complexity and the costs associated with all aspects of procurement, including supplier management and inventory levels. It also maximizes the buyer’s power in negotiations. – How usage or consumption be reduced? – How lower spec items can be used in certain circumstances? – How some branded items can be replaced with generic alternatives? – How rushed orders can be reduced? Analysis and tracking of spend is required. It may also require going back to the design of the project, or product to strip out cost and change the specification in a way that presents greater sourcing freedom to procurement. 6. Supplier Management – a more systematic approach to how supplier performance is measured and managed, as well as the development of the relationship in respect of strategic suppliers. Supplier performance management is typically accompanied by improved contract management. 7. Automation – The use of procurement systems (e-Catalogues and e-Invoicing) to minimize the administrative costs associated with the Procure To Pay lifecycle. Replace fixed overheads and CapEX with managed services and OpEx. Integrate a diversity of suppliers, into an integrated supply chain. There may be opportunities for your customer to outsource more parts of the ‘procure to pay’ lifecycle, as well as less strategic parts of the overall business model. This might take the form of buying in finished product, as opposed to components that need to be assembled, or the shipping of finished product direct from the supply chain partner to the end user, rather than to the buying organization’s warehouse. These 8 changes are either already underway or around the corner in respect of your key customers and prospects. They can either represent an opportunity, or a challenge. 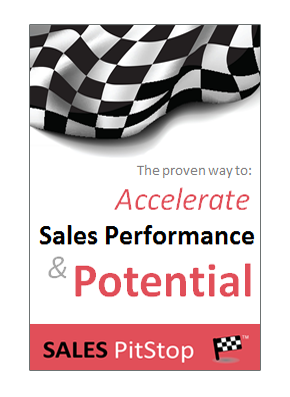 The question is how prepared for them is your sales organization? The journey in terms of procurement sophistication, or transformation can be seen to have a number of distinctive milestones. First comes a more strategic approach to procurement, then a move towards procurement being center led, and the management of procurement by category. It is a logical progression, just like 1, 2, 3, 4. That makes it easier to understand the rate of change in respect of any key account or prospect. Procurement matters to the organization and its financial performance, it has power and influence as a result. It is no longer a bureaucratic function, but rather a strategic business driver. More than that it becomes an ethos. Procurement has strong leadership and direction – it is coordinated organization-wide and led from the center and is business driven. Rather than being siloed it is cross-functional. It balances compliance and control with coaching and collaboration. Category management involves grouping related products or services. These ‘pools of spend’ are managed in a more planned and integrated manner to cut spend and drive other objectives. It marks a new sophistication, recognizing that the procurement approach must vary by category and is accompanied by the development of deeper category knowledge and expertise. Procurement is increasingly the focus of strategic, or joined up thinking that sees buying in the context of the total supply chain with its multiplicity of inputs and outputs, customers, suppliers and partners. That means procurement is looking for economies and efficiencies in new areas. The focus has shifted to total supply chain efficiency and in particular to leveraging supplier partner innovation in getting their product/service into the hands of the customer. It has also shifted to the suppliers of your suppliers (e.g. raw materials) in terms of seeking cost reduction, or managing supply risk. These 4 structural changes to procurement are the catalysts, rather than the main event. They prime the organization for sweeping procurement change. In their wake is a tsunami of other procurement changes – the 8 changes listed above. These fundamental changes to the role, structure and ethos of procurement lay the foundation for a transformation in how the organization buys. They wipe the slate clean of the Status Quo – the old habits of managers, the cosy supplier relationships and so on. They usher in a period of accelerated procurement driven change. Napoleon said ‘one must change one’s tactics every ten years if one wishes to maintain one’s superiority.’ However, given the pace of change in how organizations buy, sales strategies must change faster than that. By examining the status of the 8 trends and 4 drivers in your key accounts you can predict changes in how your customers buy. The changes listed above expose a suppliers sales process and strategy to new vulnerability and uncertainty. Ultimately, however, it is not the pace of change in buying that matters so much as how agile sellers are in adapting to it. As the above discussion shows, the changes can be predicted. That means the seller can plan to address them in a proactive manner. The seller who can adapt to the change can gain a competitive advantage over competitors who are slower to change.